Sometimes, it is nice to be able to keep some secrets from prying eyes. 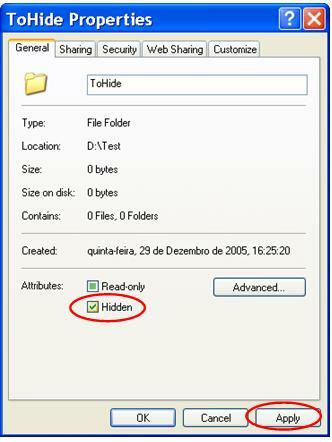 It is possible, in a very simple manner, to hide windows folders so that they don't become visible when browsing or searching the harddisk. 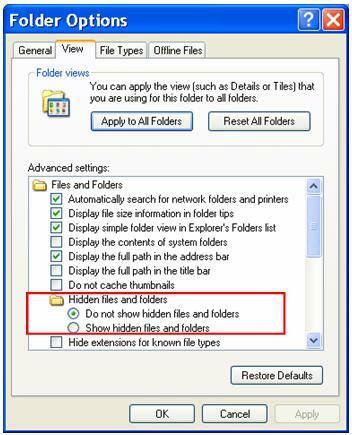 It is very easy to hide folders in Windows. These folders are not visible under the regular Windows folder settings, but in fact they may be made visible with a single tweak. This is very basic privacy. There is, however, the stronger possibility of encryption and the utilization of extra software to add an extra degree of privacy. 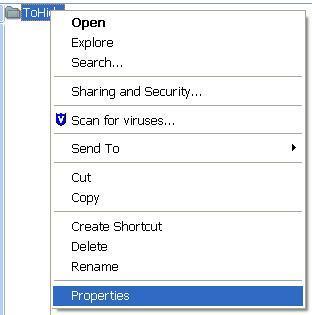 To be able to Encrypt folders, you need to have your hard disk formatted in NTFS. Hiding will work with other formats. This disk format is only available on Microsoft® Windows® 2000 and Microsoft® Windows® XP (forget the old Windows® NT). 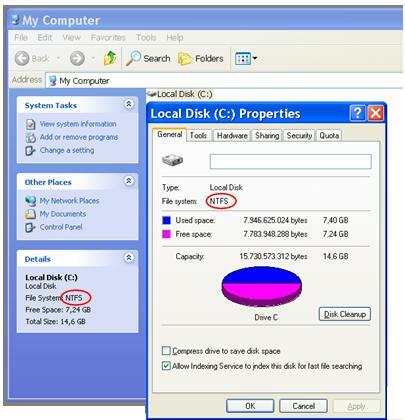 While the usual standard on Windows XP Professional, many Windows 2000 and XP Home still use FAT32, an older system inherited from Windows 95/98. Only regular hiding will work for FAT32. 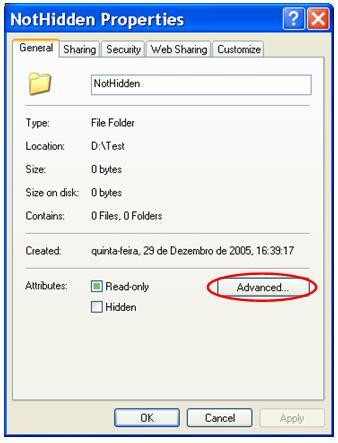 This tricks, other than hiding, will NOT WORK with Microsoft® Windows® versions older than 2000. But anyone can unhide it again: Just do the opposite and uncheck (deactivate) the Hidden property. 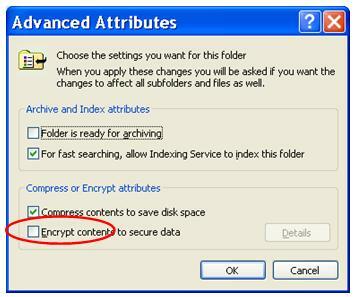 Instead of hiding (or on top of it, as they can be used both on the same folders and files) it is possible to encrypt files so that only the Windows username used to encode them will be able to read the files. Other users of the same computer will not be able to read them, even if they do see the files on the disk. This is, of course, true only for users who have their own usernames and passwords on the computer/network. It they use the computer with the same username (common at home), then they are, for the computer, the same person! 1 - OfficeHelp.Biz is not affiliated on receives any commission from this vendor.